I am particularly excited about next week’s webinar. 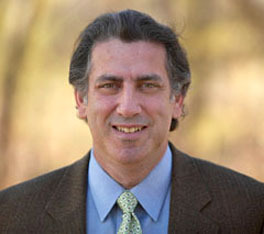 I’ll be chatting with Joe Trippi, a long-time political consultant who has worked on the presidential campaigns of several democratic nominees and most notably, as national campaign manager for presidential candidate and former Vermont governor, Howard Dean. His work on the Dean campaign is particularly compelling as a case study in using social media to build a passionate community. When Trippi became manager Howard Dean’s 2004 presidential campaign, the long-shot candidate had 432 known supporters and $100,000 in the bank. Within a year, Trippi and his team had transformed the most obscure horse in the field into a front-runner, creating a groundswell of 640,000 people and raising more money than any Democrat in history — more than fifty million dollars — mostly through donations of one hundred dollars or less. What was most interesting about this growth was the innovative uses of online technology (blogs, communities, etc) that Trippi implemented to organize the movement and gain support. Who says you can’t measure ROI in social media?